I was insanely angry with Google’s decision still I am. Here are some stats from my Google Reader takeout data. Larry, if all these are because of Steve’s advice. Learn one important attribute of Steve, his ability to change his mind. 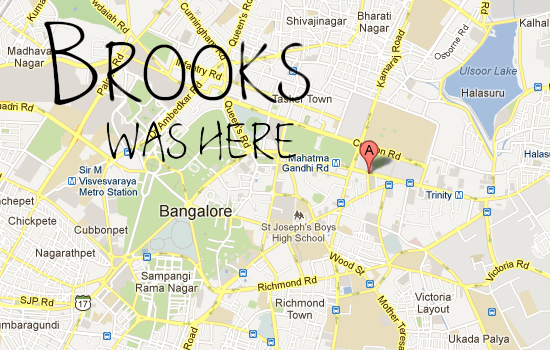 I was in Bangalore for two days, I kinda liked it. Yes. Danlec already created a bookmarklet that lets you create Trello card from many services like Fogbugz, JIRA, Github and more. Last Thursday one of my iPad app’s provisioning file has expired. Client brought it to us at the very late moment, the iPad app was distributed internally as an enterprise app. Task management app with little twist. Yep, Dug instead of clippy while nagging. Idea is to log all our project ideas similar to logging notes in nvALT. A Bookmarklet or a Browser extension to select the root element of a DOM (UL/OL) to view the Inverted tree structure of its child nodes. iForce - Sublime text plugin for salesforce development. I wrote a small plugin for sublime text to develop salesforce. I’m glad to share one of my idea to project execution. We received an unusual call at 4am on 6th only to know my Uncle and Aunt are no more. Suicide at the age of 70+ is not an easy decision, it has been a week and I couldn’t digest the news. TL;DR If you have a Apple Portable within the 1yr manf. warranty, stop reading and go and buy Apple care if you haven’t already. For the first time in history, I am publishing resolution list online, let see if this helps. Shed at least 5kg weight The iPhone4s which can’t resist myself from buying should be the last gadget for the year. Integrating iCloud with core data was easy when I found this tutorial, but I ran into few issues while implementing and testing it on devices.